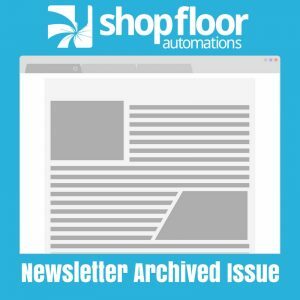 This is an archive of our May/June 2016 Shop Floor Automations Newsletter. Do you have machines that are still running with floppy drives? on numerous controls and we have an amazing support team to help you over the phone. you can just order it online and you’re good to go! we can help you with. We’re always happy to hear from you. In many parts of the country, electricity prices are continually rising. off-peak hours and save on power bills. a reality on your shop floor. Decrease downtime by knowing exactly what your machines are doing at all times of the day. Scytec DataXchange can easily increase uptime by more than 30 minutes per machine, per day! This increase in productivity means the software will typically pay for itself within the first few days of the month. altogether. Production will be at an all-time high and the benefits can be substantial.